Hey guys! Happy Monday, hope you are having a great day, I am so happy its Monday because 1. I like Mondays and 2. it was our "summer kick off" beach trip! :) So thats why todays post is a lil later but better than never! 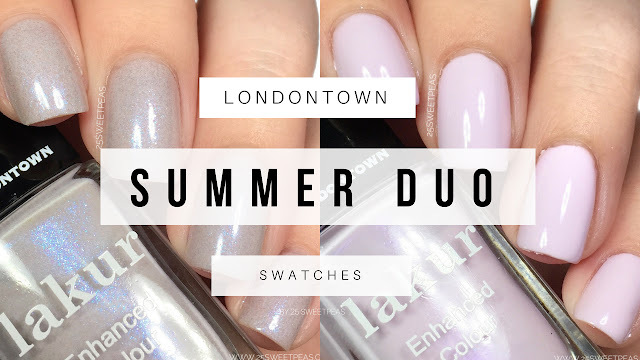 Today I have 2 new polishes to show you featuring polishes from Londontown Lakur. So enough chit chat, lets go! 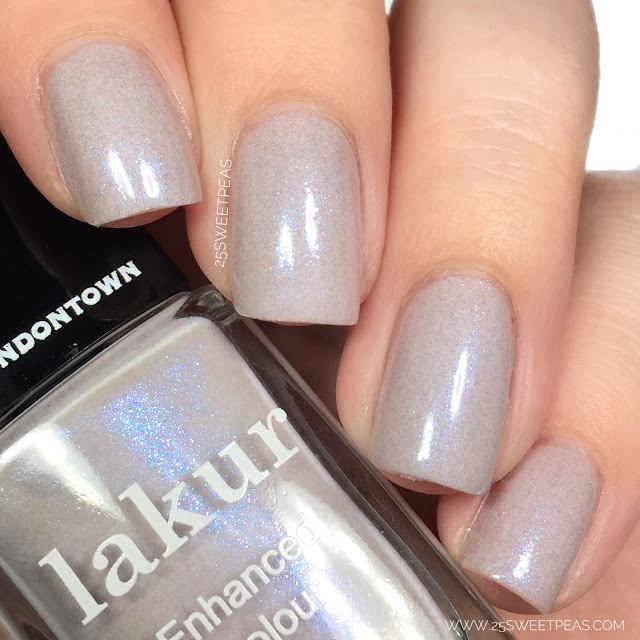 A light dusty greyed lavender. Its a hard one to put into words but most will see it as a lavender tinted grey with a purple/blue sheen within in it. So I'll be honest when I first saw this I didn't think it would be my cup of tea per say. However when I put it on my nails it was a different story. I love this polish, its a nice neutral shade with a hint of lavender and a fun shimmer that pops some blue and purple! Formula wise it was/is really nice as well! 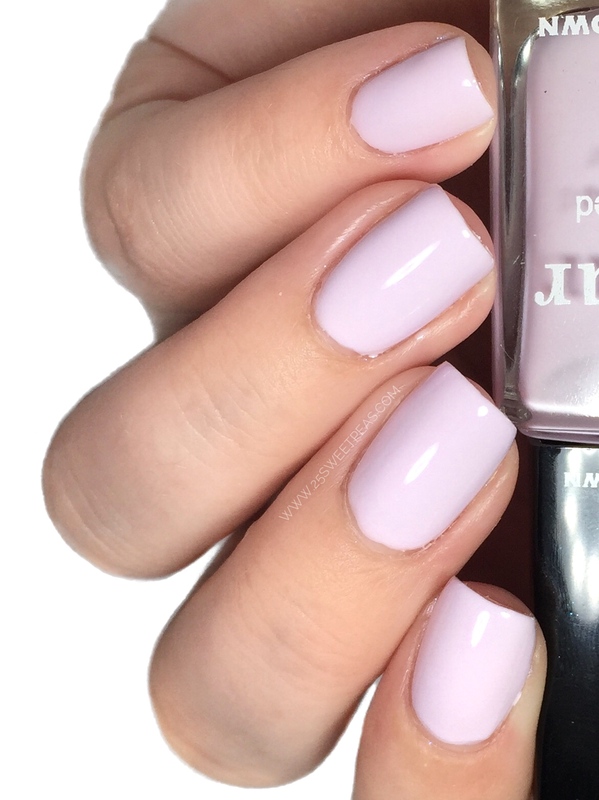 A light pastel lavender creme. This ones is really pretty, just your nice classic cream. I will say that in the bottle you get the idea that there will be a purple flash/shimmer however on the nail its no where to be seen. So if you are wanting if because you what the sheen the bottle shows you will be a bit bummed. Formula wise this one was eh, and its getting better. 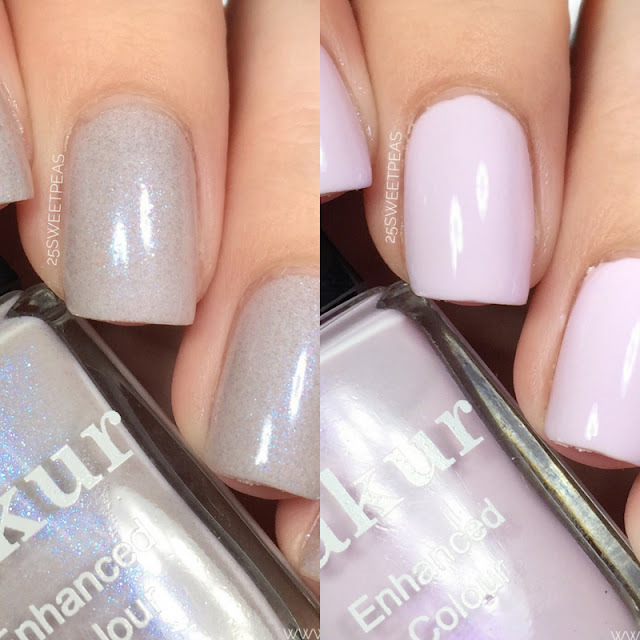 One night when I swatched for photos it needed 3 coats, but when I swatched for video I ended up being happy with 2 more so than not. That all being said I think that now its been opened its thickened a bit which is why I got it in 2 coats the last time I used it. You can find these now online on the Londontown Lakur site which y'all can visit here! Thats it for today! I hope you enjoyed the post let me know which polish was your fave in the comments below! I love Opal's shimmer, but I love the color of Briolette! Plus the name Briolette is fun! I love the mix of pink and lavender in Briolette. I've been wanting something from this brand. Briolette might be the one! Opal is my pick today! I watched you video. I think both of these are really pretty. Opal is so appropriately named. I really love how it twinkles! Opal is so pretty! I love the colour flashes! 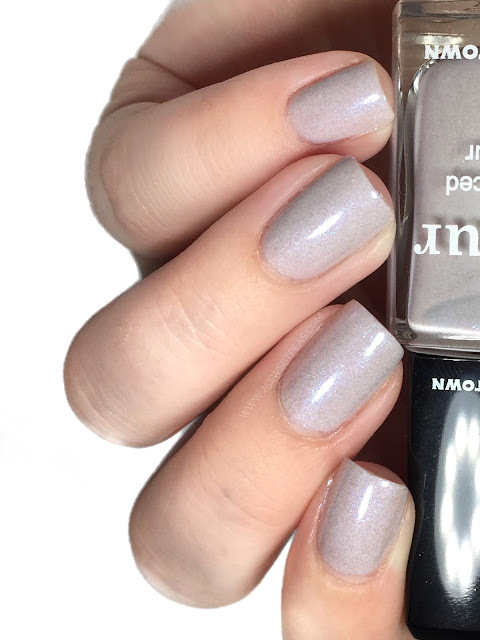 Opal is beautiful beyond words - such a delicate shimmer! Both of these are gorgeous! I love the pastel of Briolette. I just love the shimmer in Opal!!! So pretty and unique! Opal is right up my alley - you could just about wear it to work! Gorgeous shades and they both look great on you.